There’s a knack to baking and some things take a little longer to perfect. Brownies being the first thing that took a little practice (there’s a very specific level of chocolate fudginess required you know). But this time its biscuits. I have a fair few cookie recipes on my blog but other than custard creams I always struggle to make a biscuit that’s not cake-like. Countless attempts and variations of butter, chilling, rolling and cutting have all failed me. Usually embarrassed enough to stick to what I know and never attempt them again. 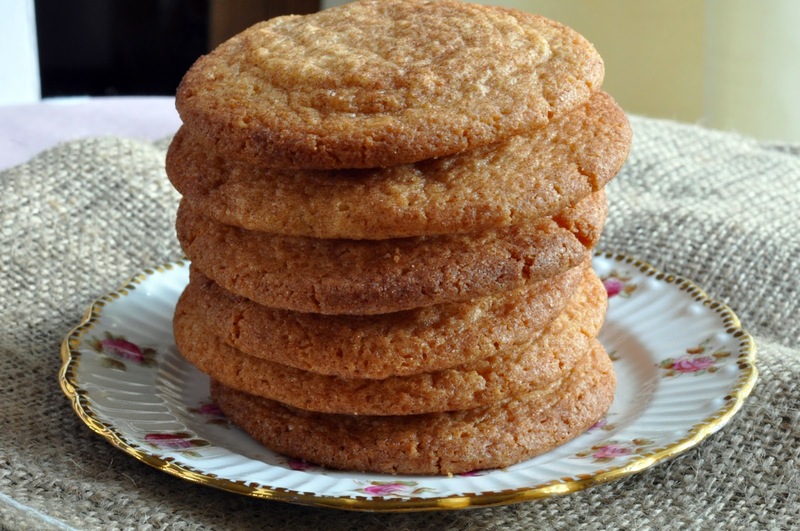 But then there’s Snickerdoodles. First attempt at baking, no problems at all. So when life gives you snickerdoodles eat the whole lot and worry about the rest later! Cream together the butter and sugar until light and creamy. Add the eggs one at a time and gently beat after each. Mix in the vanilla. Sift in the flour, baking powder and salt and beat on a slow speed until well incorporated. Wrap the dough in clingfilm and chill for 15 minutes. Heat the oven to 160 degrees and line two baking sheets with baking paper. Mix the sugar and cinnamon in a shallow bowl ready for dipping the cookies. Roll small pieces of dough into neat balls, about golf ball size, slightly flatten and dip each into the cinnamon sugar. Space evenly onto the prepared baking sheets, leaving some room for spreading between each. Bake for 13-16 minutes until the edges are golden and the tops look dry. Remove from the oven and leave to cool on a wire cooling rack. Love it when baking is easy - it always tastes better!